but what's also great is that I've been diving into the scripting and level data. 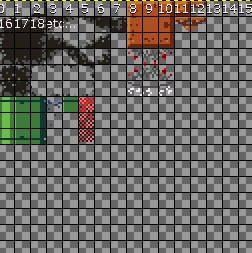 attribute.png - looks like debug tiles for all the types of collision. 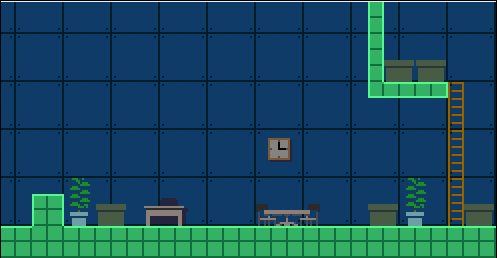 not sure what everything is yet, but you can see slopes and damaging tiles for sure. default.pxeve - this is a template level script, i'll go into the scripting language more in a bit. flags.txt - i'm pretty sure that this is just a reference file, for data that is used maybe in the level data files? this will no doubt come in handy when i dive further in. unittype.txt - a handy list of what all the entities are. definitely will come in handy. bgm - surprisingly the music data. all the music is .ptcop format, which is the music format that PXTone exports (http://www.cavestory...one-collage.php), a music tool created by the developer of this game. field - level data! this is interesting stuff!! but!! its not plain text unfortunately. I'll go into what i've found in level data further on. localize - translations are stored here, some graphical pieces are also in here. profile - save data, yeah? se - sound effects! in .ptnoise format which iirc can also be created with one of Pixel's tools. Scripting takes a really simple format, and if you've done a little coding it shouldn't be too difficult to pick up. You've got 3 types of code, Labels and 2 kinds of Functions. 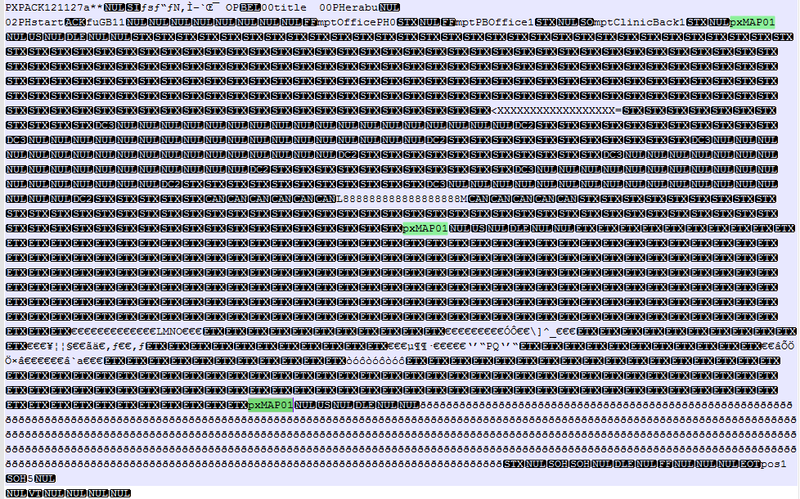 which you can see at the start of every script file. 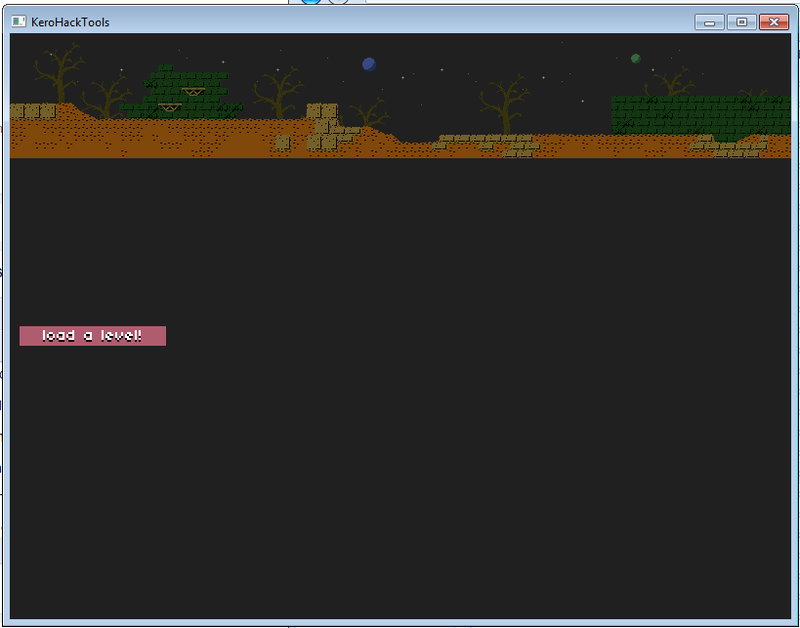 the functions after this label are called when the player has entered the map! //script delay. i think it's in frames. //jumps to a Label, often used to go to a new level, but i'm not exactly sure how it knows this. //opposite of <fadI, fades out. //Loads a music file from the bgm folder. argument is any filename, minus the .ptcop extension. //Stops the music, if any playing. //goes to the home/title screen. in Kero Blaster this is the Load Game screen. I am still [i]super[/b] sketchy on how this works exactly so I'm gonna have to do more work before I can do a proper write-up! sorry! Here are some screens to show that I am working on it though! 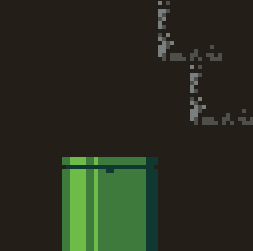 As far as level loading goes, tiles are stored sequentially with one byte per tile. the tiles are loaded from tilesets defined near the start of the file. 00PHerabu, 02PHstart. I'll be honest, I'm not sure why these are here. They are definitely references to other levels, though. fuGB11. this graphic has all the enemy sprites from Pink Hour in. I'm guess it's used to load in the graphic to memory so the entities can use it. 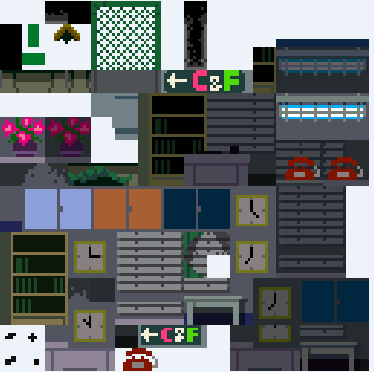 mptOfficePH0, mptPBOffice1, mptClinicBack1 these are tilesets that the level uses! change this for some fun glitchy times! pxMAP01 these are identifiers for where the tile data is stored. after each one is a non-fixed list of byte that translate to 1 byte per tile. each tile is 8x8 pixels, and the index of each one can be counted starting at 0. so the first row of tiles is 0 to 15, the next row is 16 - 31 etc. the bytes do not translate directly, they are offset by 240 iirc, so to translate add 240 to each byte read, and that should refer to the correct index on the tileset. This is as far as I got! I think a foreground and background layer is stored, and i'm not sure where entity positions are stored yet, but I'm working on it! As you can see from my screenshots in the OP, I didn't successfully manage to get the foreground tiles from the first screen of level one, but this method managed to get the background layer. this is really cool stuff, good luck with working it all out! I'm happy that I've at least got this far. I am definitely missing something, though, and I'd love to know what it is. Still need to grab entity data and figure out what some of the data i'm ignoring means, then I'll write a quick guide to how the level data is formatted. Install the app anywhere it doesn't really matter. So I've just been messing with the art assets. thanks everyone! as I said I want to do a writeup of the file format when I understand it a bit better so that other people won't have to do all the tedious work I just did First things first though I need to make this app nicer to use and get started on seeing if I can get it to edit levels. You've probably already got this figured out but I know what the 00PHerabu, 02PHstart is in that files. It looks like the first one is the level before it and the second is the level afterwards. I'm restricted to just using Pink Hour so I'm not sure if it's exactly the same for Kero Blaster. PH - At first I thought this stood for Pink Hour, but without seeing the Kero Blaster files I'm not sure. *E - This only shows up in the easy level files. Just another sign of it not being with the hard levels which do no sport the Es. In the flags.txt it lists this area as "Normal". I'm just calling it Easy because of the E on the ends. The level name format is such: 00 is for before-game stuff, and 01 upwards is used for chapters in Kero Blaster. It's purely a naming convention and probably just used to separate the two difficulty modes in Pink Hour. disclaimer: the data does NOT look like this, this would actually look a little more like this (using one byte per character): pxMAP01␈␈␀!!!!! !!!!!!!01!!!!!!! !!!!!!!01!!!!!!!!!!`ab!!!!!pqr!!!!!pqr!!! 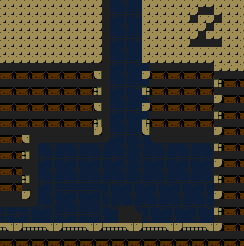 and by referencing the tileset as we did above, we get a level looking something like this! Current state of KeroHack, redone some UI and those numbers across the top show which tile layers are active, and you can press 1 2 or 3 to make it visible/invisible. I have a feeling I was mistaking the purpose of one of them, which means I may be able to show levels a bit better soon. 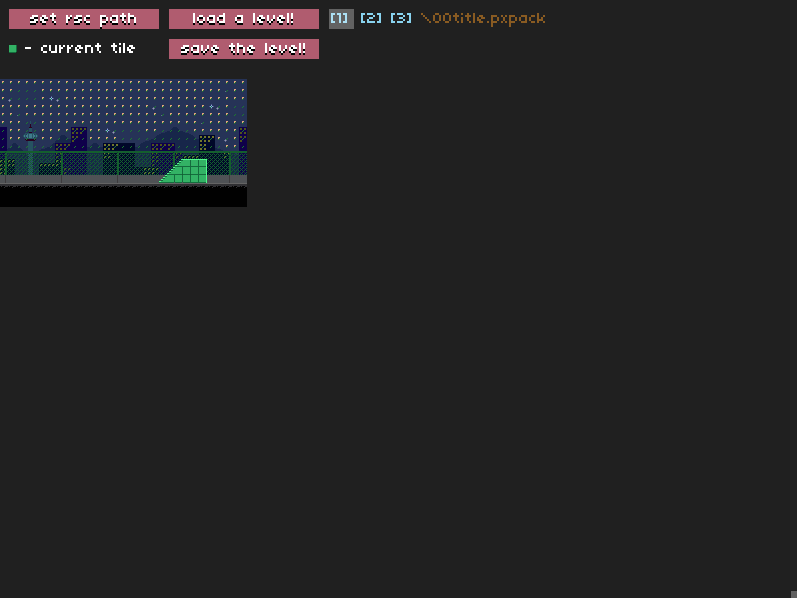 Also just adding in the ability to drag the levels around, maybe zoom as well? 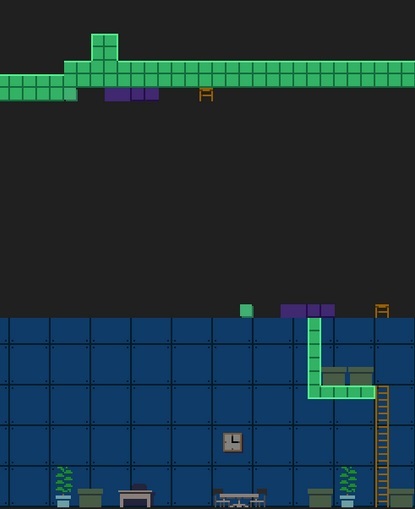 Tile editing is getting very close to working, just a couple things to iron out (I hope). the one command i forgot to include instructions for: hold space to bring up the tile palette!! EDIT: The the first byte is the amount of entites. I don't know about the second byte yet. MORE EDIT: Also I'm not super sure about the 2 byte short int. it might just be a char. When I change the first byte of x it stays in the same place, but with y it disappears. whenever you see 96 its talking about the bat. after that comes the position, x than y. so the first bat is facing left and is at 22, 0C. That's all I got for the entities so far. Hope it helps. the unittype.png and unittype.txt in assist have been super handy, too. Awesome, i'll have to load my pc and try it! If someone can figure out the beginning header part a bit more, and figure out the scripting then we can make everything in the level! I was looking at the entity data for taiya and it uses the string at the end of an entity to name the entity to reference in the script, and it uses lots of weird flags on the entities. I have yet to figure out how that all works together though, it seems pretty complicated.